It's been a while since we've published a book review here on KidTown Melbourne, but that's not to say we aren't reading here at KidTown HQ. We received Josh Lefer's first children's book in the post to review before we went away last month. Great timing because Junior KidTown, who just turned 9 years, needed a new book to read. Josh Lefers' book Hectic Electric: How to Hypnotise a Droid sounded right up his alley. The story follows the adventures of Joshie Hectic, a cheeky protagonist who has more than a few tricks up his sleeve when it comes to scaring off his babysitters. Why? Because he doesn't need a babysitter.. or so he thinks. The arrival of his new babysitter; a droid, turns everything he knows on his head and he soon realises he can't get rid of this one quite as easily as the rest. We won't give too much of the story away, but will say that Hectic Electric: How to Hypnotise a Droid proved to be a hit. Josh Lefers tells a great story, in a tale filled with kid-friendly fun and plenty of surprises. 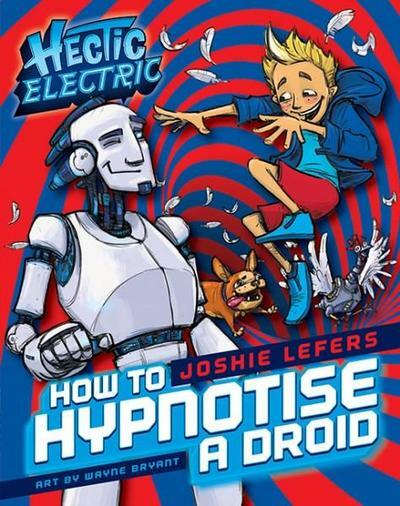 Hectic Electric: How to Hypnotise a Droid is the first in the Hectic Electric series, suited to children age 6 plus. We'll be in the look out for the next book in the series and so should you. Hectic Electric: How to Hypnotise a Droid is available now at Target, Big W, and all good book retailers across Australia and online. RRP 12.99. Pirates of the Caribbean 5?